By using a real estate agent, you instantly gain an air of professionalism and credibility. Another benefit of using a licensed real estate agent is that they can help in matters of negotiation. The process of negotiating with buyers can be stressful, particularly if you have a certain degree of emotional attachment to your home. Real estate agents will be able to approach the situation with an impartial view, to get the best possible deal for you. When you use the services of a professional to bid on your behalf, you can benefit from their skill with bargaining. The buyer will also be unaware of just how much you may value the property. This can work out in a better final sale price for you, because the real estate agent will be able to negotiate a better offer without the buyer knowing what your actual limit is. Using an agent for negotiation preserves your confidentiality. Real estate transactions come with a mountain of regulations, bureaucratic red tape, and paperwork. A good real estate agent will be able to use their knowledge to handle this aspect of the sale process with aplomb, ensuring that every small bit of paperwork is completed accurately and on time. Doing this on your own would turn selling your home into a stressful full time job! 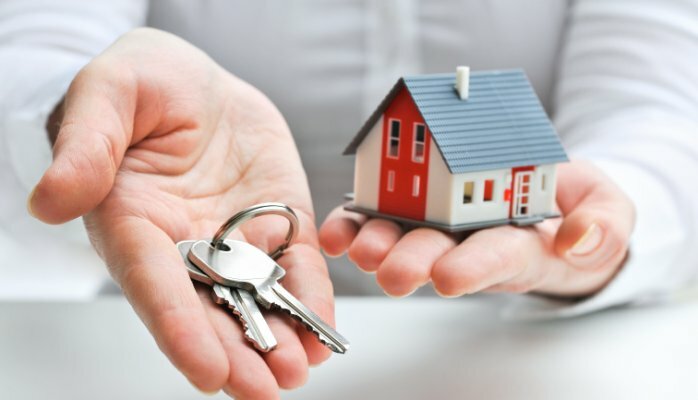 The estate agent completes these formalities on a daily basis, which means that they know exactly how to get things done quickly and precisely. They will be able to compare your home to similar properties sold in the neighborhood which can help them advise you. A good real estate agent will also be able to point out your property’s best features, and will know what to highlight in your sales and marketing plan. An experienced real estate agent is able to turn to their past network of clients in order to help you find the right price for your property. Real estate agents also have access to massive computer databases, which you wouldn’t gain access to as a private seller. All of this specialized information can help you in your quest to achieve an ideal sale price. It’s the real estate agent’s duty to give you an honest assessment of the true value of your property. They must do this to uphold their professional reputation and do right by their clients. At the same time, the right real estate agent will also be able to get you the highest price possible. Using a combination of past experience and current market knowledge, they can push potential buyers towards the best possible sales outcome. Real estate agent can attract potential buyers to your property, They can use their long-lasting professional relationships with former clients and current agents to help show off your house to its best advantage. They can ensure that your open inspections are filled with interested buyers, by marketing the property according to the utmost standards of professionalism. A real estate agent will know how to use all the possible avenues out there to present your home to the world. This may include a combination of internet advertising, online marketing, newspaper advertisements, signs, and flyers. You’ll be told which combination of methods will be the most effective, according to the agent’s past experience selling similar homes to your own. With a full breakdown of the advertising and marketing options available to you, you’ll also be able to gain a realistic viewpoint of what marketing cost to expect. There are clearly numerous benefits to working with a real estate agent. A good real estate agent will be able to get you the best possible price, in the shortest span of time. Agents possess a wide range of specific knowledge that will pertain to your individual case. They can help with numerous needs, from buying a new home to selling your existing home. Whether you need to find buyers, renters, or mange your property, you can rely on a real estate agent. Hiring a single agent also gives you access to their wider network, ensuring that there will be more people on the job to help you reach your goals.